New hillclimb in West Virginia! 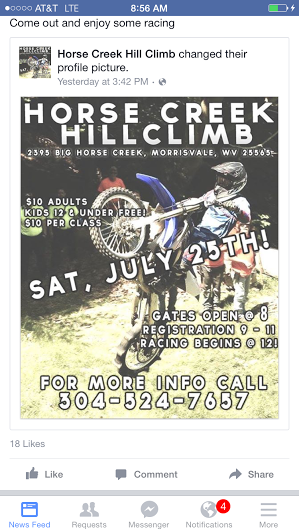 There’s a new hillclimb in Morrisvale, WV, set for July 25th – not quite 3 weeks from now. If you’re in the area, go and check it out! For information and directions, call (304) 524-7657.